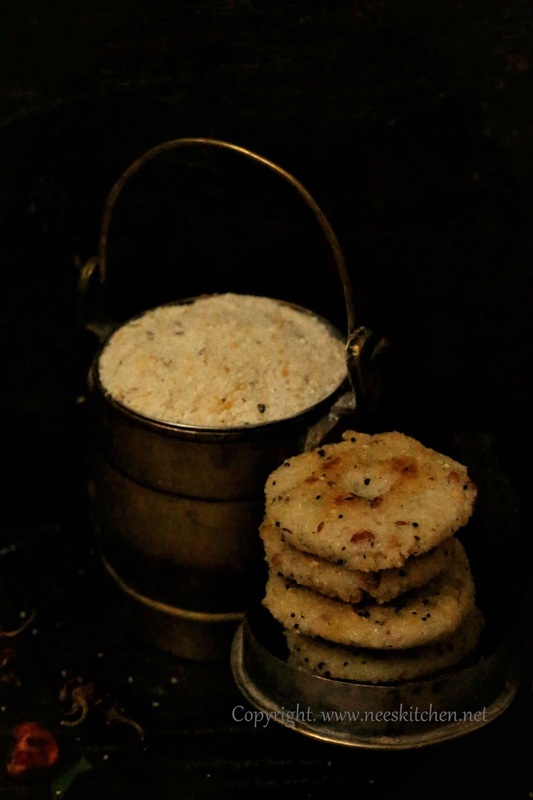 Thavala adai is a south indian evening snack which is made in thavalai (pot). The dish consumes a lot of oil but tastes heaven. Cooking this dish in thavalai needs lots of patience and the alternative version is to cook in non-stick pan. This consumes comparatively lesser oil and time. 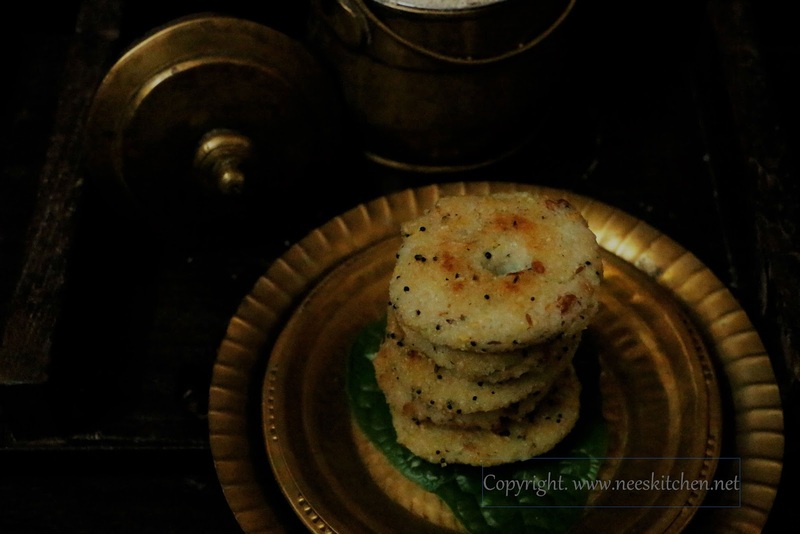 The original version is done with raw rice as the base, however this can also be prepared with black rice, millets. This post is with raw rice and I shall be posting the other variations soon. Though I had published this recipe earlier in June I was not satisfied with the photo I took. Hence I shot the main dish again in a rustic and moody way. 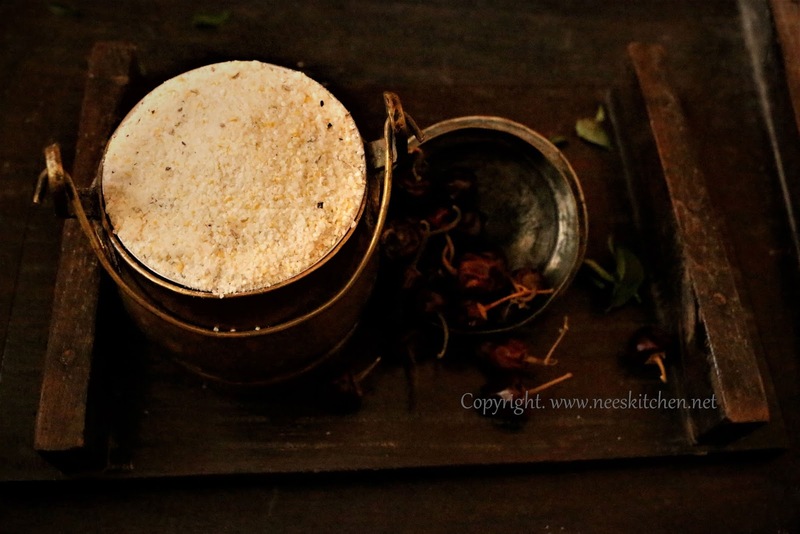 The recipe is a guest post by mom hence I was waiting to reshoot it when I am in Chennai. This recipe consumes a lot of oil, hence if you want to make it with less oil, use non-stick pan. 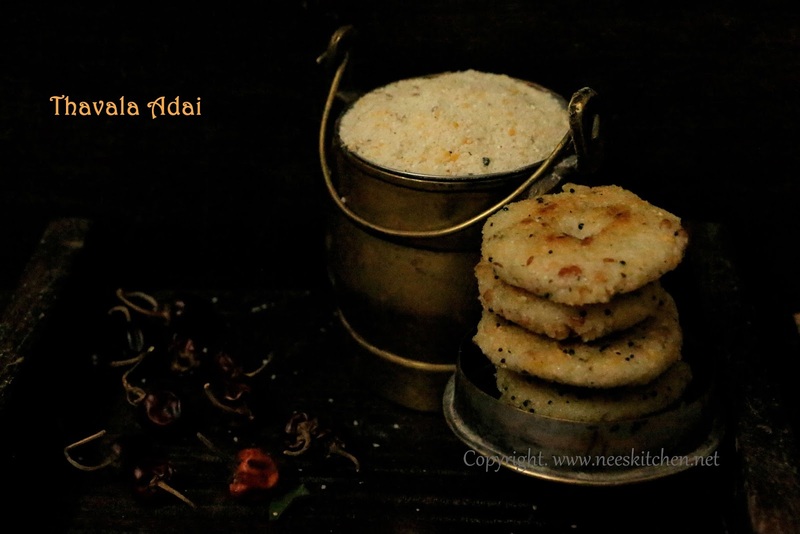 The flour combination used in this recipe is same as any regular arisi upma. If you are grinding in mixie add them in minimal quantities but maintain the proportion. 1. Grind the ingredients in the “To Grind” section into a coarse powder. This is exactly the same combination for arisi upma powder. 2. Take a pan , add oil and temper the items mentioned in “To Temper” section. 3. Cut red chili and add it. 4. Add curry leaves and let it fry. 5. Add 400ml of water to this and let it boil. 7. Add the ground mix of the items mentioned in “To Grind” section (Point 1) or the upma mix. 8. Keep stirring without forming lumps. Let it get cooked. 9. Close it with lid and allow it to cool down. 10. Once cool down, make them into lemon size balls. Sprinkle water in the mix if you feel it is too dry to make as ball. 11. Make them as patty and make a small cup in between. Do not put hole like vada, instead just make it a small cup. 12. Take a non-stick pan and add oil. Arrange the patties in batches and flip them until crispy. You may add oil in the cups so that while flipping it gets spread evenly. 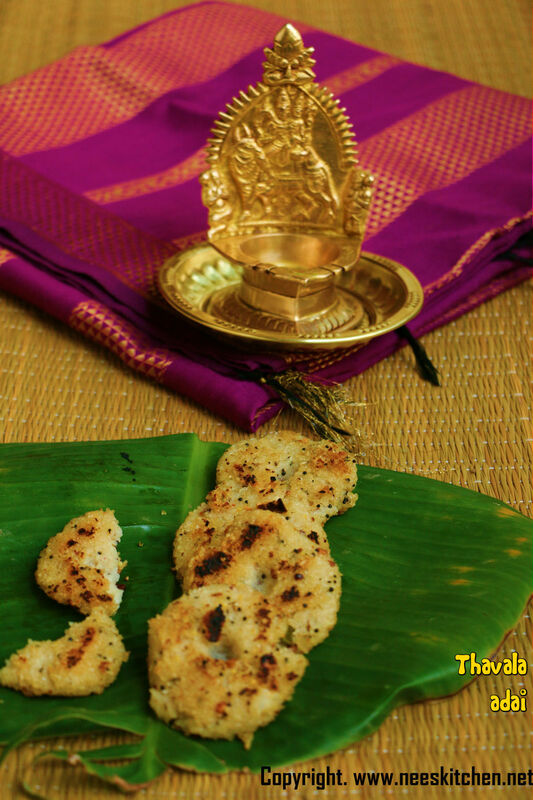 Thavala ada in nonstick pan is ready. There is generally no dipping needed for this dish, we just consume it as it is. You may use the arisi upma mix if you have them at home.